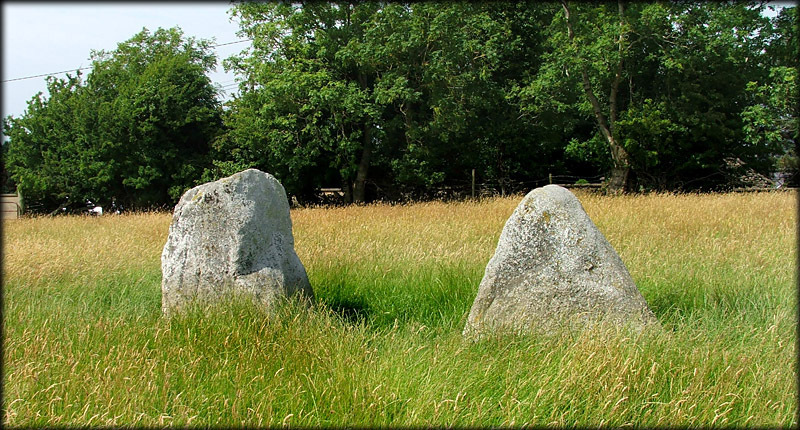 The Stone pair at Boherboy gave me a pleasant suprise as the stones were much bigger than I had expected even though I have seen them many times as I drove past this site. It was always one of those sites I meant to stop at but never did. The stones are a male and female pair, I think it is fairly obvious which is which. 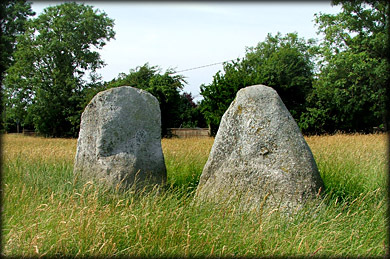 The female stone is about 1.3 metres high with the pointed male stone slightly smaller. Another site near this location is Raheen standing stone. 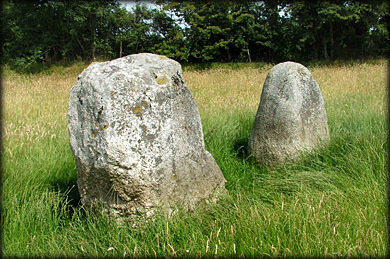 Situated: From Tallaght take the B 81 South and then take the B82 west to Saggart the stones are in a field just after the second left turn.The pair can be clearly seen from the road. Discovery Map 50: O 0420 2601. Last visit July 2006.